Battle Rap has really come a long way. Nobody would’ve expected Daylyt to make an appearance on Ab-Soul’s newest album, These Days, but that is exactly what happened on the very last track on his album. The song “W.R.O.H.” (We Really Out Here) serves as a hidden track for it plays the song for a few minutes before switching to the true bonus which is an official battle between Daylyt and Ab-Soul. 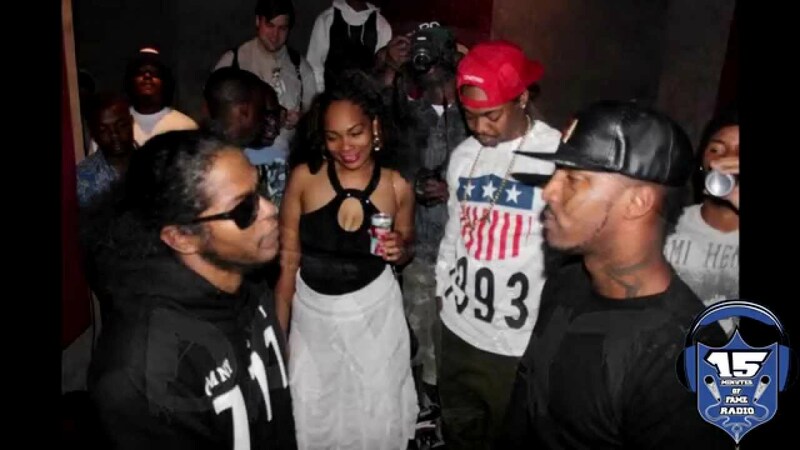 Ab-Soul even credited Daylyt for being his favorite rapper while at an album listening session at the Red Bull Studios in Santa Monica, California. Ab-Soul certainly held his own and even did so well that many fans argued the victory in his favor, however a large amount of other fans believe Daylyt clearly won. Daylyt uploaded a few pictures of the battle on his Instagram account and by the looks of the post, the battle appears as though it was filmed as well and may possibly be available for purchase in the near future. While Joe Budden vs Hollow Da Don was set to be the first battle to merge the present gap between mainstream and Battle Rap, Daylyt has once again succeeded in making his actions the center of attention, as he and Ab-Soul have become the first official Battle Rap vs mainstream clash to take place. This entry was posted in Ab-Soul, Daylyt and tagged Ab-Soul, Ab-Soul vs Daylyt, Battle Rap Lyrics, Daylyt, Daylyt vs Ab-Soul, Rap Battle Lyrics. Bookmark the permalink.